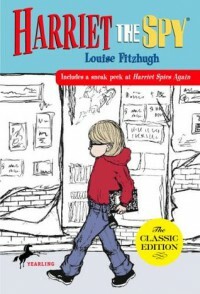 This book is about Harriet who spy's on a whole town of people and writes her thoughts in a notebook. Harriet's notebook comes up in the hands of others and everyone finds out what Harriet truly thinks about them . This book will be best used in upper elementary. It is important to inform students to not make fun of people and say mean things. I will allow my students to carry notebooks and write only good things about their classmates.